Up early and walked Mix. 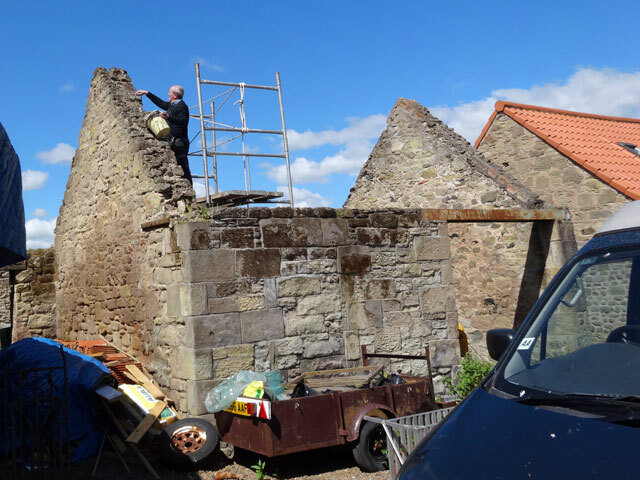 During breakfast at the farmhouse Tom arrived for we are to start work on the bothy today. 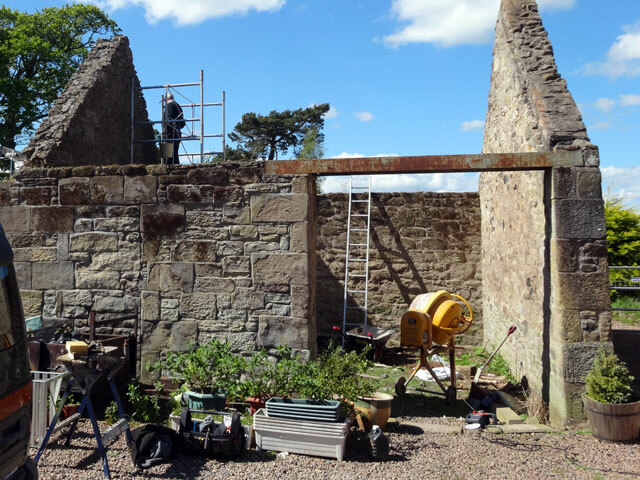 In fact we started by clearing everything out of the bothy – plants, boats and anchors, oars etc. Then, while I took a phone call about a wedding, Tom made wedges for the loom. 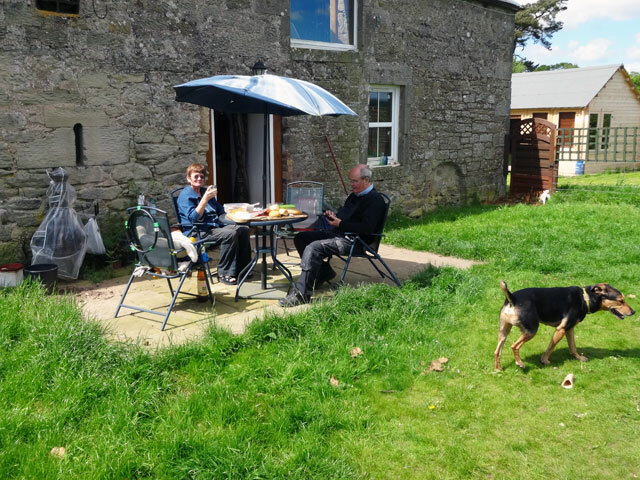 We completed the clear out of the bothy and when Rachel returned from Duns we all had coffee in the farmhouse and then lunch in the garden – a bit of a celebration because I got the good news that the blood tests I had taken last week had shown me to be in fairly good health. 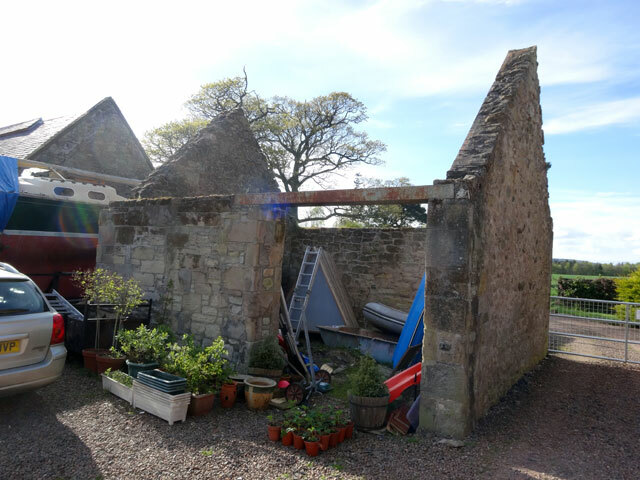 In the afternoon, we drove to Duns – Rachel to drop her Berlingo off at the garage for its service tomorrow; Tom and I to pick up Rachel and to buy sand and cement, bolts and some creosote, all for the Bothy. 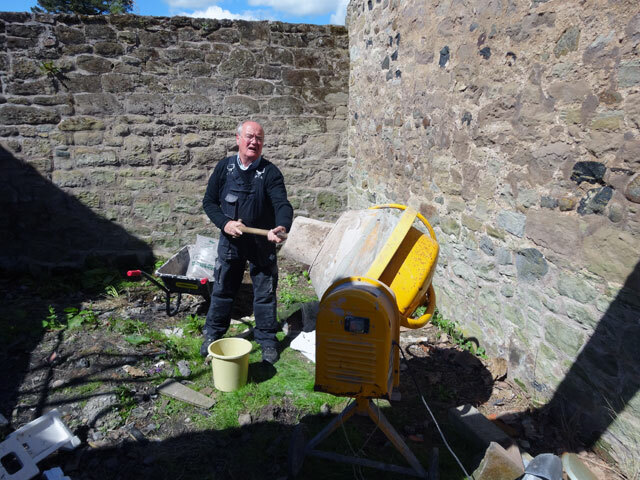 Soon we had the cement mixer in operation and the wall at the west end of the Bothy stabilised. With that we called it a day, Tom returning home where he was on tea duty, me to the summer house with Mix to catch up on the cricket (Durham are not doing too well against Somerset). Mix and I went for a walk. I was in shorts, such is the quality of the summer weather we are experiencing. 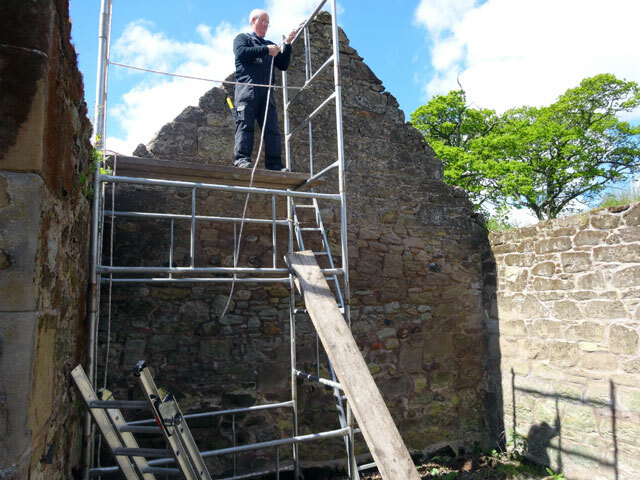 Rachel spent much of the day in her new Loom Room based in the stables while Olive and Digger started to clear some of their possessions out of the large barn. Mum had a relaxing day having got a bit tired as a result of the parties and visits of recent days. 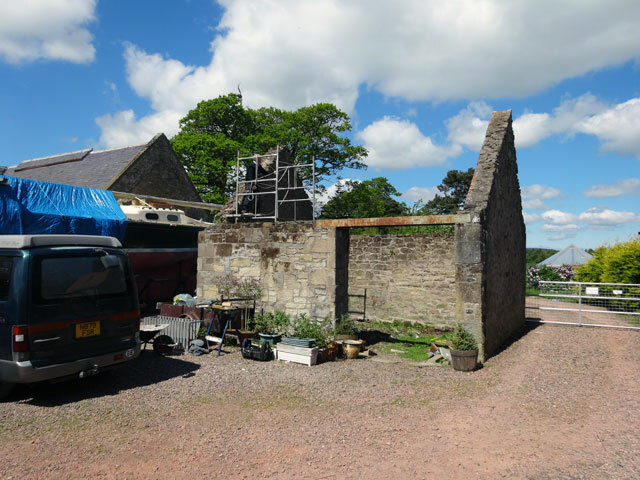 We dined in the farmhouse at 7 p.m. and afterwards we relaxed in front of the television watching the final two parts of ‘Fleming’ which I thoroughly enjoyed before walking Mix and retiring to bed. I’ll sleep well tonight – life is good!